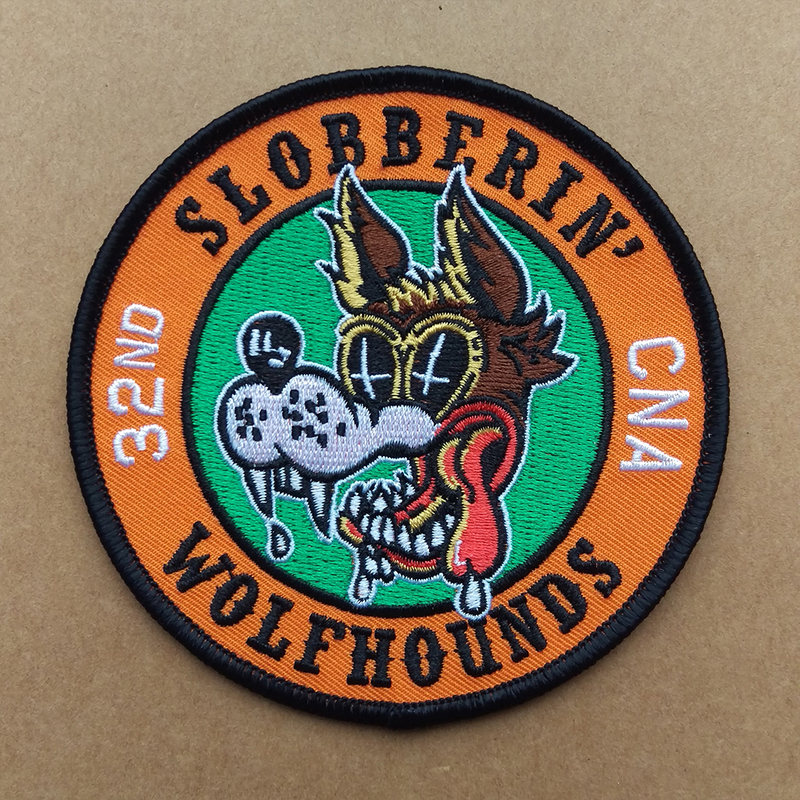 Patch design for former USAFE unit 32nd TFS / FS once based at Camp New Amsterdam (Soesterberg Air Base) in The Netherlands. A wolfhound head was used as the squadrons mascotte, and the nickname of the unit was ‘Wolfhounds’. 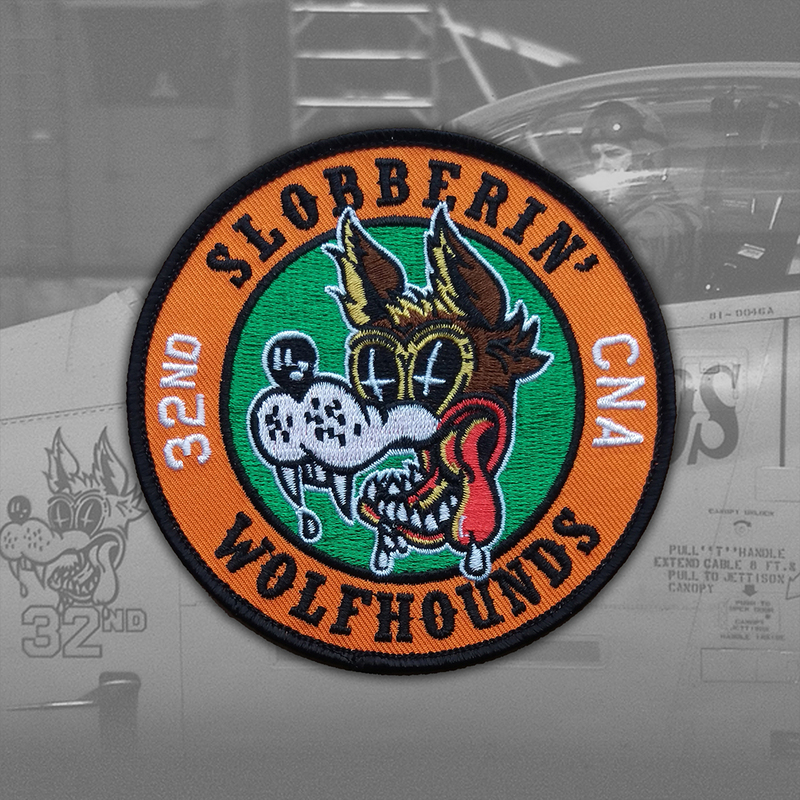 I turned the nose art of a wolfhound which once appeared on a F-15c Eagle, into a patch design, choose (for me) the perfect colours, fonts, and lay-out. I had actual embroidered patches made from the design as a dedication to the unit as I was (still am) a fan of all things 32nd as a kid. 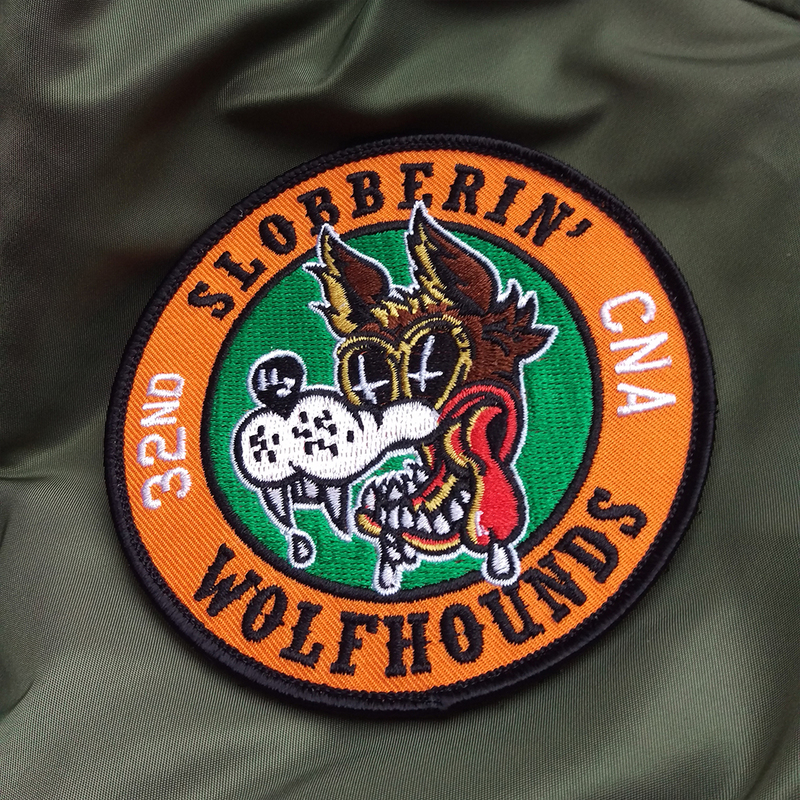 Subject: Patch design ‘Slobberin’ Wolfhounds’.